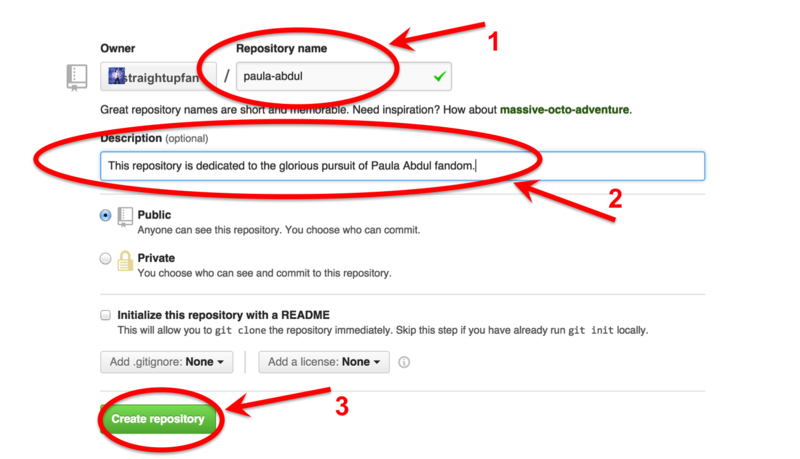 We took care of the first big chunk of creating a git repo - we created a directory and one lonely file for our super awesome Paula Abdul fan site, we did our first commit, and we initialized our repo locally. Okay, we're done with the GitHub part. 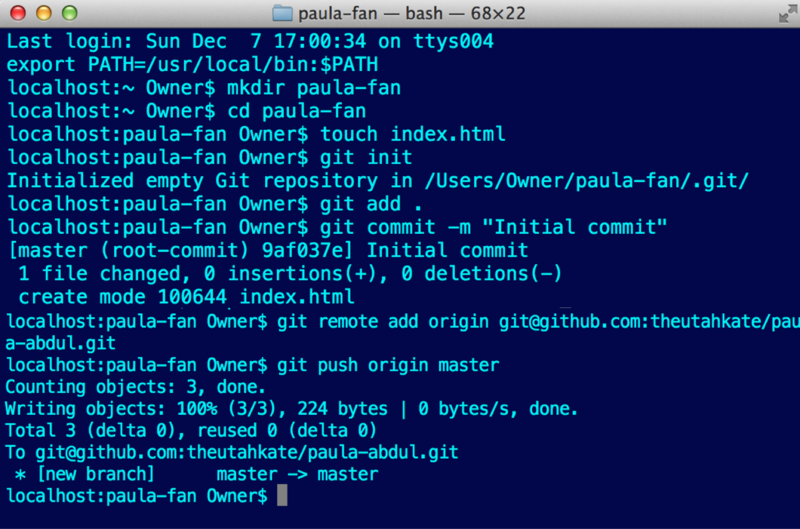 Now we'll head back to the command line for one final step, and to push our files up to the repo. Voilá! Your repo is official and ready to use. Huzzah! And they rejoiced all through the land! See how we can see our one file that we made? O how glorious! Imagine how much more amazing that's going to look as you work on projects chock-a-block with files. I am in raptures just thinking about it.